Most Americans support funding for women’s health, action to reduce gun violence and steps to slow global warming. Yet far too often, it feels like our country, or our state or our city is going in the wrong direction on these and other issues we care about. So what can you do? How do you make change? How do you learn and master the practice of making change? We started Change Corps to answer these very questions. The organizers who launched Change Corps understand that new activists need a place to start to learn how to make their mark. You’ll take part in an intensive classroom and field training where you will learn and practice the organizing skills you’ll need for the rest of your career. We bring in trainers from groups like Planned Parenthood, Everytown for Gun Safety, Environment America or Mi Familia Vota and other leading nonprofits across the country to teach you how to organize, run a campaign and win change on a wide variety of issues, ranging from women’s health to gun violence. There’s almost always someone standing in the way of change. It could be a powerful corporation or industry. It could be people whose views haven’t caught up with the times. We’ll teach you how to make the right case, to be strategic and to do what it takes to win campaigns. You’ll work directly with leading nonprofits on campaigns to defend women’s health, pass commonsense gun laws, tackle climate change or on other pressing issues. 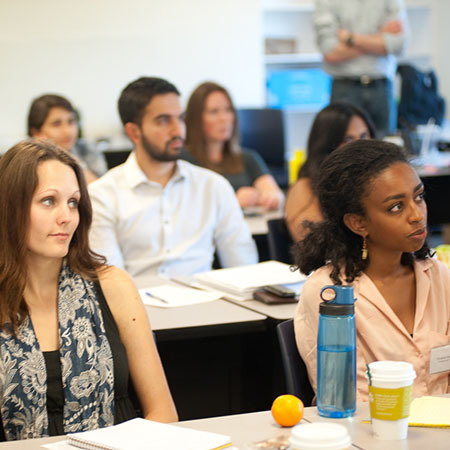 Our graduates have the training and experience necessary to work at some of the nation’s top social change organizations. 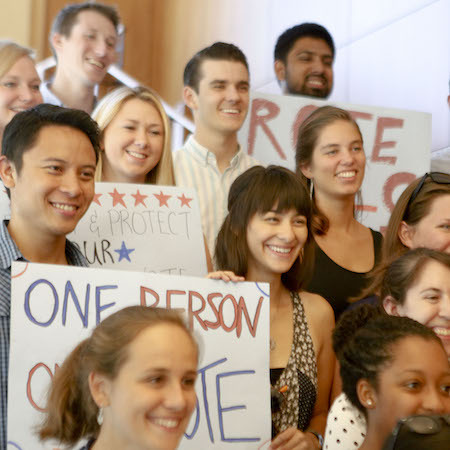 And after you graduate, we’ll connect you with activist groups like Common Cause, MoveOn and Greenpeace that are looking to hire organizers with your experience, determination and skill set. If you join us, by this time next year you could be raising grassroots support alongside the biggest change-makers in America. 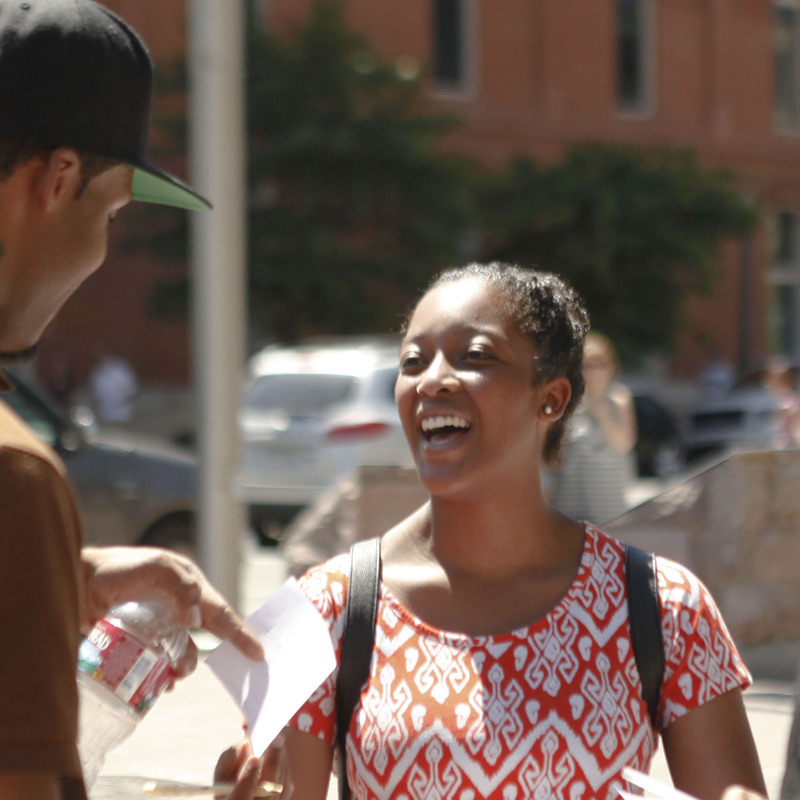 If you are interested in working with Change Corps, fill out this form and we will send you more information about our positions. From there we will connect you to our online application. By providing my contact information, I consent to have Change Corps and the other groups in The Public Interest Network contact me with information about job opportunities and campaigns. You don't know what you want to do with your career. You only know that you want to change the world and you have the vague sense that organizing is the right way to do it. Change Corps was founded for you.